To reach this end we are making a book. This book a first attempt to outline how we understand this answer. This does of course not mean that this book claims to be capable of solving even a fraction of all the relevant problems. But it is an attempt to contribute with a first entry in the living and evolving geopoetical canon. As such, this book is also an initial attempt to articulate what currently known needs exist: an attempt to aid the reframing of our relationship with the earth, that is, to identify the most irreducible terms in our earth concept, exposing the most pressing problems therein, analyzing those problems’ underlying causes, offer sound suggestions as to how to handle these various issues, and, at the end, to help realize the conclusive and collective emancipation of all sentient beings. To reach this end we realize that we need to give up all efforts to capture and control what we are dealing with. We cannot accept the claim that the earth is something that we can comprehend. For this reason, the geopoetics must acknowledge and embrace a frank, honest and effective absurdity. A geopoetical examination must try to reach beyond what it can ever hope to accomplish. It must be open to the possibility that what will be found is not what is sought after. The bottom line is nevertheless the same. We need a shift of mind and of word. Without it, we can never hope to change the destructive actions of our species. 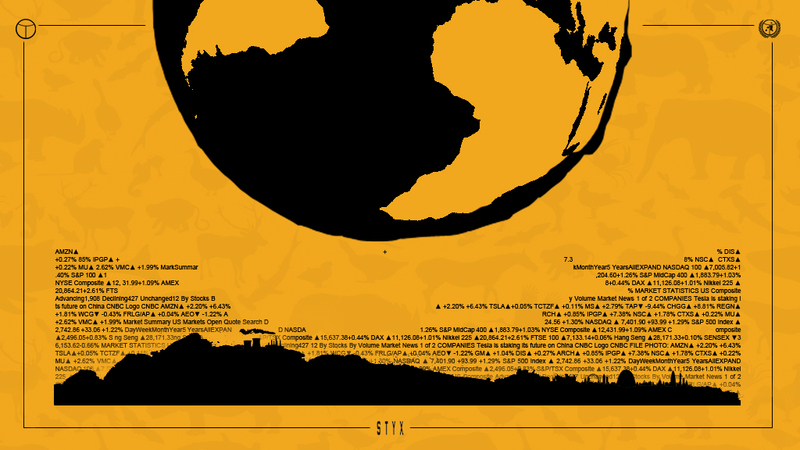 Even if our immediate goal right now it to print and distribute the book, our ambition is also to make the geopoetics grow beyond its own boundaries. Below you will find a list of what we want to accomplish and in what order. The list begins where we stand, with merchandise and toys, but it ends, we hope, properly, with a fully liberated earth constituency and a global geocratic distribution of power. First we will make toys. In collaboration with the involved artists we will make pins, postcards and posters. 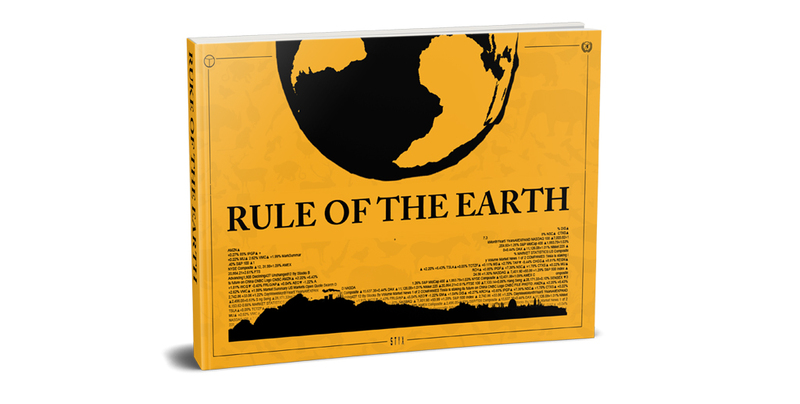 Under the heading “Rule of the Earth” we will work together with all involved artists and contributors to collect all art and imagery of the project in one full-color volume. This will include documentation of the built temples and centers (see below). We will also arrange a number of open workshop aimed at discussing and developing the projects main themes. The first workshop will be arranged in Stockholm and cover the project’s three core concepts: how to substitute the emancipator subject, how to dereify language and how to clear the ground for a geocratic constitution. The further workshops – the second in Venice (Italy) and the third in Keta (Ghana) – will be based on the results of the first and include topics such as: consensus democracy, global polubiotic citizenship, migration, interspecies communication and obsolete language practice. The purpose of these workshops will be to disseminate and elaborate the geopoetic framework and to prepare the ground for the larger conference (read more below). As a result of the workshops we aim to arrange at least one larger global, collaborative and open conference. This will be preparatory work for establishing the temples, the centers and finally the United Lifeforms (read more below). The purpose of these gatherings will be to find solutions to all syntactic and linguistic issues obstructing the realization of the geocratic constitution and start to work towards writing a constitutive document (read more below). The first conference will be arranged in Paris (France). When the time us right we will start to build a number of temples around the globe. We will build the first temple in Stockholm (Sweden), the second in Keta (Ghana), the third outside New Orleans (USA) in the swaps, the fourth in Jaipur (India), the fifth in Alice Springs (Australia), the sixth in Reserva Biológica do Abufari (Brazil) and the seventh outside McMurdo Station (Antarctica). Sketch of a Nordic temple in mid-winter (digital oil). The ultimate purpose of these temples will be to prepare the ground for the geocratic centers (see below) and for writing the Geocratic Constitution (see also below). The more immediate purpose of the temples will however be to facilitate the communication between different forms of sentient existence and allow beings from different elements to make contact. Simple conceptual ideas for facilitating interspecies communication in the temples. Eventually we will be able to start transform all built temples into centers. Besides working as platforms for interspecies communication and the for the writing of the Geocratic constitution (see below), the core purpose of these centers will be to distribute and develop tools to decentralize and dismantle all forms of unwarranted political hierarchies. In the book, we explain what this involves in more detail. All eligible parties will be invited to participate in the transformation process. 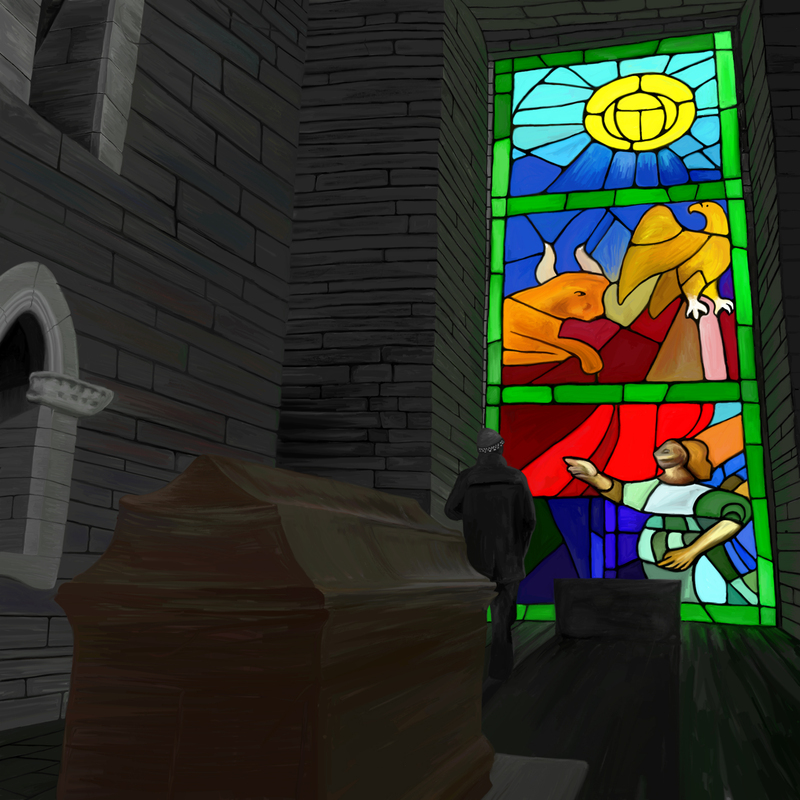 Sketch of the interior of the Nordic temple soon to be transformed into a center (digital oil). When enough temples are built and we have started to have a reasonable level of clear intersperse communication we will start to make a draft of the Geocratic Constitution. 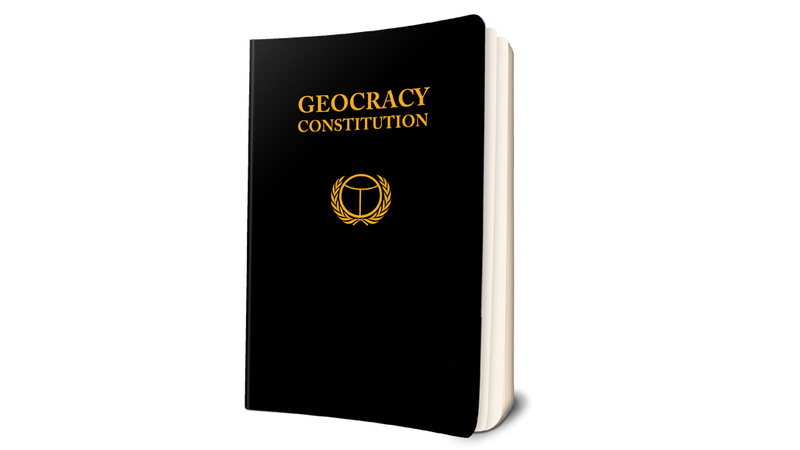 Geocracy means rule of the earth and would be a constitution unlike all others in that it is not based on human governance. Our point of departure will be a form of consensus democracy known to be efficient in large west African tribal societies and developed as such before the impact of the west. The process of writing the Geocratic Constitution will however need to be a global, collaborative and panbiotic effort. This means that the desires and needs of all sentient beings will need to be considered. To reach this end we will invest in research to establish a much better notion of interspecies communication and of how to do collaborative and work beyond species boundaries. In the book, we elaborate on some of the ideas we have to reach this goal. See also our www.projectdolittle.com. Depending on many factors, we might one day be able to accomplish what we are really striving for: A fully liberated earth constituency and a global geocratic distribution of power. Even before that, however, we believe that as geocracy begins to root its policies and procedures of decision making in our current societies, we will see the slow emergence of a new planetary organization: the United Lifeforms. We do not yet know what it will do. But we can imagine how it will feel. The experience of its growth will be like an inverted backward movement, vertiginous images filmed backwards and forwards simultaneously. Why? Because the transition into a geocratic constitution will not be a revolutionary movement. It will not be something that is accomplished by force or violence. Its principle of establishment is better understood in quite different terms: Withdrawal. Retraction. Distance. At the end, you will not need to fight anymore. The earth will be safe, all will be free. And instead of the political struggle, we can dedicate our time to consider what it means to exist on this planet. All books are alive. The one we are about to make is no exception. Yet, it roots are exceptionally deep and wide. During the last years it has grown in a variety of directions and taken on many shapes and forms. It began, perhaps, as a collection of texts for the imagined anthology Deontologi. We made a call to answer three questions: What do we want? Where are we? And how do we reach our goals? The call was open and public. The reactions we got were overwhelming and in the following years we received an enormous amount of contributions. Soon, however, we realized that the ambition to make a traditional anthology was inconsistent with what we realized was the project’s main purpose – to identify and establish the starting points for a joint and common emancipation. For this reason we decided to work with the material in a different way. We decided to dig, to analyze, to cut and to experiment. The result of this was the book Deontologi. That book, published in Swedish, was not only an attempt to capture and understand three main problems: anthropocentrism, the reification of language and the effects of power accumulation. It was also an effort to find strategies to solve these problems. In the following years the material was expanded and translated back and forth between different language. It was analyzed, cut up, dismantled, distilled, purified, compressed and recompiled. During the process, we also changed the name. Parts of the material was published as a small handmade booklet, called Vad är Geopoetik? for the exhibition Ligg Lågt at Husby konsthall. Other parts of the material was disseminated in the form of a number of public performances, most notably at Cyklopen and at the Stockholm Public Library. The version of the book we are working on right now is to be edited, complied, illustrated, commented on, criticized and assembled by many. Most recently we are: Olof Pettersson, Giuliano Medici, Alcamy Henriksen, Eleanor Goldfield, Erik Lavesson, Timothy Crisp, A.B. Alexander, Jonathan Habib Engqvist, Asker Bryld Staunæs, and C.M. Lundberg. Some people, whose words and images are still in a somewhat recognizable form in the book needs to be acknowledged: Sebastian Saar, Niklas Nenzén, Hanna Riisager & Leif Holmstrand. This book cannot however be said to be the result of a disciplined collaborative effort. But is has been informed by some important structural sources: conceptually by Leif Elggrens and Carl Michael von Hausswolfs Elgaland-Vargaland; socio-politically by the Strike for Climate Movement, the Extinction Rebellion Resistance and the Sunrise Movement’s anarchistic form of organization; bibliophilically by those who make books to be touched and by the book art of ellerströms förlag. Recently we have also developed the ideas for the temples and the centers together with Vide Ohlin at Grodkollen and Elina Eriksson. The art on this site (imagery, animation, sound, photos, etcetera) is created in collaborative cut-up fashion by Timothy Crisp, Elina Eriksson, Olof Pettersson, A.B. Alexander & his brother Andy.